George was born on April 18, 1861 in Frankfort, Minnesota to Jacob and Margaret (Snider) Bingenheimer. He was the fifth oldest of nine children (Phillip, Mary A., Ferdinand, Louisa E., George H., Edward W., Kate l., Gustov A., and Ida R.) born to the couple. His parents had immigrated to Minnesota in 1849 from Hessia (i.e. central Germany) and his father became one of the leading millers of flour in Minneapolis. George Bingenheimer came to Mandan in March 1880. His brother Ferdinand came a year later. George was employed in the drug store of William Hollenback until October 1881 when he and his brother Ferd formed a partnership and started a drug store. The store they eventually sold to D. R. Taylor, who was engaged in the business for many years. Bingenheimer filed on a claim and a tree claim, but only lived on them enough to prove up and never farmed them. The Pioneer Publishing Company was incorporated in 1883, with the Marquis de Mores, Michael Lang, Joseph Miller, R.M. Tuttle, A.C. Macrorie and George Bingenheimer as stockholders. Bingenheimer was active in politics, serving as a delegate to several National Republican Conventions. George Bingenheimer was elected County Treasurer in 1882 and served until 1886. He lobbied relentlessly in 1885 to discourage western Morton County residents from breaking away to form their own county, undoubtedly fearing for the loss of tax revenue. He was elected Morton County Sheriff and served from 1888 to 1894. But this term was not without its controversy. In late 1891, one of his employees was tried for selling alcohol to the residents of Fort Yates, but cleared on the basis of the oversight being an honest mistake. He also raised the alarm later that year to US Marshals in Fargo when a Ghost Dance celebration on the Standing Rock Reservation was interpreted as an Indian uprising. Some historians believe that incident was a ploy to prevent the US Army from closing its military post at Fort Lincoln. The fort closed permanently in 1894. In 1896, he first started in the lumber business, operating a yard across from the Dakota Hotel in Mandan. This same site is the home today to the O'Reilly Auto Parts Store. His brother Ferd took over at the lumber yard while George served as agent at the Standing Rock Agency, Fort Yates. After 1904, Bingenheimer devoted his time entirely to his lumber business establishing nine lumber yards and four grain elevators. 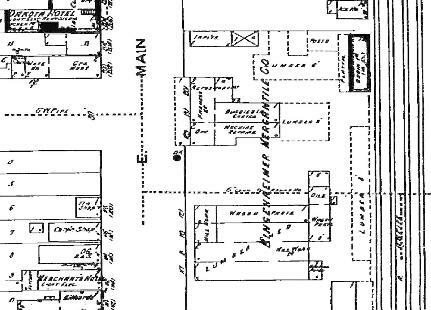 His lumber yards were located at Mandan, Huff, Fort Rice, Timmer, Price, Judson, Sweet Briar, Solen and New Salem. George Bingenheimer took over as agent at Standing Rock for former agent Major Cramsie who under investigation for "arbitrary actions as agent". The editors of the Bismarck Tribune pointed out that Bingenheimer's partner in the Mandan Pioneer paper R. M. Tuttle was leading the attack against Cramsie in the print media. Bingenheimer as the Standing Rock agent from March 11, 1898 to March 31, 1903 but also left the appointment under a cloud of suspicion. Accused of misappropriation of funds, he was later cleared of any charges. However the title "Major," assigned to Indian Agents at the time, stuck with him the remainder of his life. George married former Mandan school teacher Margaret "Maggie" Bowers, who had been born in Wionna, Minnesota on September 16, 1885, but had moved with her parents and uncle to Mandan in about 1890. Their first home was 609 6th Ave NW. 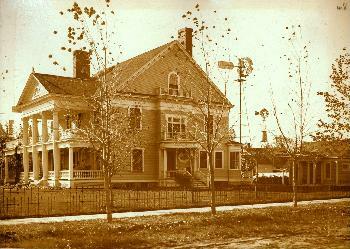 George and Margaret Bingenheimer bought the home at 309 4th Ave NW (today's Weigel Funeral Home) from Hiram and Pauline Lyons in 1907 after the Lyons relocated to the Twin Cities area. Bingenheimer had visions of Mandan as a large prosperous city, and invested heavily in lots and town property. He donated to the Lutheran Church organization the lots on Ninth Ave NW on which they built their church. He also donated the lots on which the Catholic church of Timmer was built. While not formal members, the couple regularly attended the First Congregational Church in Mandan. After they disbanded in about 1887, they joined the Presbyterian Church. Mr. Bingenheimer was not outwardly active in their church, but gave liberally towards its support as he did toward every beneficial cause in the community. His wife once remarked, "I do not believe there was a single church built in Morton County prior to his death that he didn't make a donation. 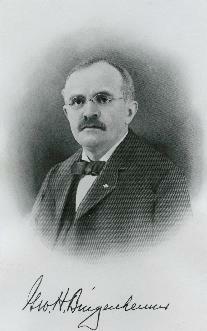 He helped build the Mandan Hospital and the Mandan Library. He supported two French orphans during the World War (i.e. WWI) and always gave liberally to the Children's Home in Fargo." He was a member of the Masons and was an officer of the El Zagel temple in Fargo, ND. He also served as Treasurer of the ND Fireman's Association in 1885. 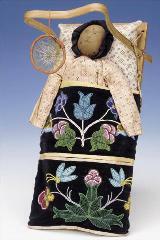 Bingenheimer was an avid collector of Native American memorabilia. He sold a portion of his collection to the State Historical Society of North Dakota (SHSND) in 1906 which consisted primarily of Sioux Indian relics and artifacts. Additional pieces from his collection were donated to the SHSND by his wife Margaret after his death. A significant number of artifacts were also among the collection at the Smithsonian National Museum of the American Indian in Washington, DC. Bingenheimer and his wife left Mandan in 1916 and moved to Miles City, MT but continued to be actively involved with his Mandan businesses throughout the remainder of his life. He lived in Miles City until late 1920 when he sought medical treatment in the Twin Cities. George Bingenheimer died of a heart attack in Northwest Hospital in Minneapolis, MN on December 24, 1920.